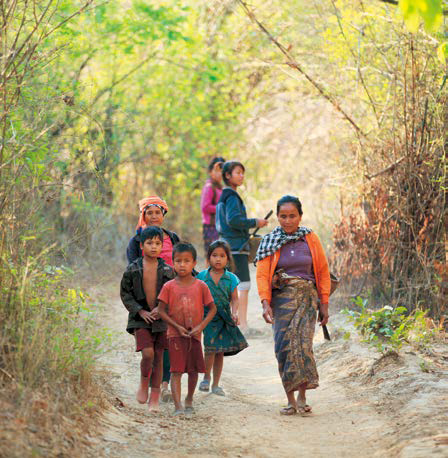 JVC support villagers so that they manage natural resources which are the sources of food for villagers and prevent undesirable acquisition of forest and river by companies engaged in industrial plantation and so on. 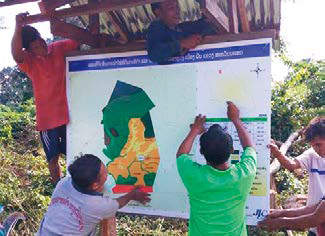 We completed Participatory Land Use Planning (PLUP) initiative with approval of government for four villages where launched the activity in 2015. We have showed a DVD in 6 villages, in which an ethnic minority students group performed drama about way of natural resource management and villagers’ rights on forest. 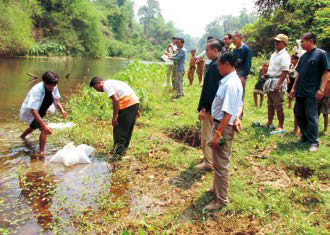 We also showed them DVDs that other NGOs had created on natural resource management and river management. Additionally, we held a quiz to ensure that the villagers have better understanding of these issues. 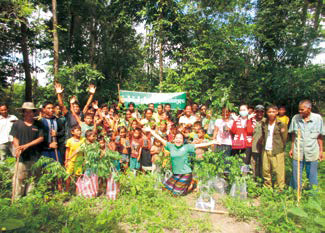 In order to prevent overexploitation of natural resources, JVC supported villagers to establish a community forest in one village and fish conservation zone in three villages. Many households in target areas faces rice shortage. 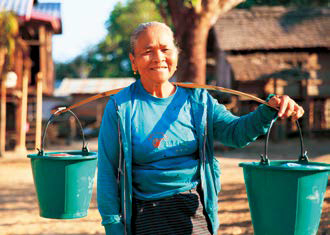 We supports villagers to ensure food security through spread of sustainable agricultural techniques by group activities. We organized events for villagers implementing System of Rice Intensification (SRI) to share their experiences and exchange ideas to find ways of overcoming problems. These exchanges should be useful for their cultivation in the future. In a village we conducted a training, SRI practitioners who had joined reaped larger rice yield than villagers who had not introduced. We conducted trainings on cultivation of rattan which is both for subsistence and for sale. Rice bank is a group system allowing villagers who face rice shortage to borrow rice with low interest within own village. In order to ensure continuous management of this system by themselves, we provided suggestion in five villages. Also, we drew up two sorts of pamphlet for villagers and officials to hand out, which summarized experiences of rice bank. We constructed 12 bore wells (large 6, small 6) in seven villages which lack of access to clean water.